You know your breath is bad when . 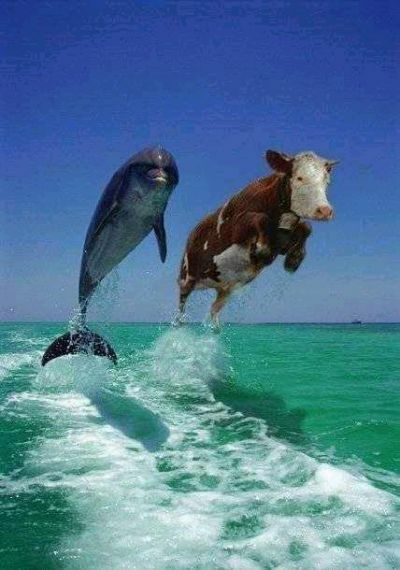 . .
Below is a picture of two dolphins. If you can see both dolphins, your stress level is within the acceptable range. If you see anything other than two dolphins, your stress level is too high and you need a break - take the rest of today off of work. Cybersalt thanks Douglas Martin for permission to use this image on our site. You can even get this on a t-shirt or a mug at www.cafepress.ca/dolphinandcow!